CURRENTLY: Sorry In Advance, Making THIS, All Things BOSTON, I'm Determined. I’m sorry in advance to my co-workers on Monday because I WILL be streaming the Boston Marathon and will 100% be cheering the entire 2+ hours. I think I only get excited for Mondays when it’s Marathon Monday. The weather is looking similar to last years, but definitely warmer. There’s nothing worse to run in (I think) than cold, windy rain! This one by Erin Strout (LOVE her!) regarding equality at the Boston Marathon. It’s time that the men were moved to the same standards that the women have been at for years. It’s a step-forward for gender equality and a win (I think!) for women! I also think that it’s good that they’ve opened up the earlier professional starts to anyone who has obtained an OTQ (Olympic Trails Qualifier). 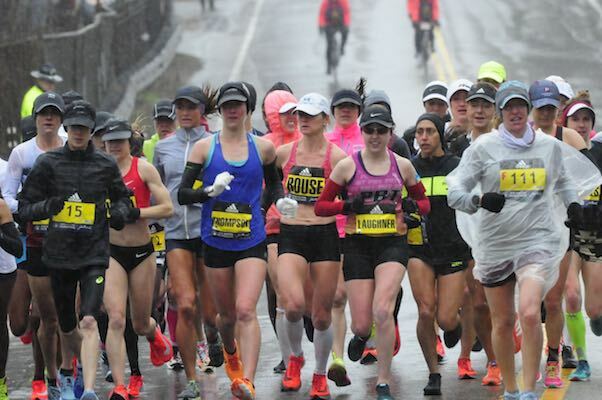 This one by Emily Abbate sharing her mental tips to conquer the Boston Marathon (or really any marathon/ race). Mental strength is something that I’ve continued to work and am convinced it helped me get a break-through half marathon PR last month, when I had little actual ‘speed’ under my legs. Also- make sure to check out Ali On The Run’s Podcast Episode with Emily. It was SO good. 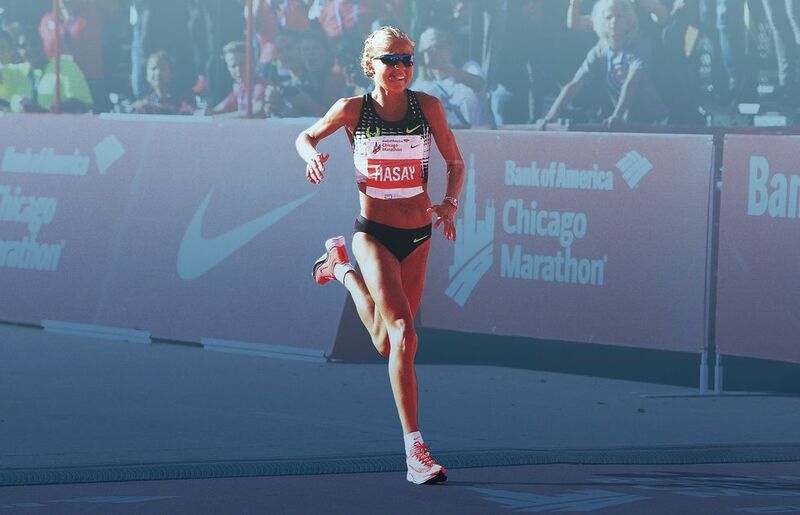 This one by Sarah Lorge Butler sharing Jordan Hasay’s journey to the Boston Marathon this year. This one by Daphne Matalene about a runner’s 9 year journey to qualifying for the Boston Marathon. If you only have enough time to read one article, let it be this one. Daphne’s story is so incredibly inspiring, I want to read it everyday. It gets me excited to see where the running years ahead of me will lead. This one by Cindy Kuzma aout Roberta Groner’s amazing sub 2:30 marathon. I’ve been a huge fan of Roberta’s for a while (thanks to Lindsey Hein’s amazing podcast episode with her)- she’s a single mom, full-time working nurse, and unsponsored runner in her early 40s. Another incredibly inspiring story. I updated my lock screen on my phone- I’M DETERMINED. It will be a lot of hard work and won’t happen in one or two or three training cycles, but I will get there. -Anyone running Boston? Good luck! !